Be in to win some great prizes for your baby, toddler or preschooler! Each month we have lots of new competitions for you to enter from the New Zealand businesses we have listed on the Under 5s website www.under5s.co.nz. 1. Simply subscribe to the Under 5s Newsletter to be eligible to enter. 2. Then select the prize(s) you would like to win. It's as easy as that! Check back regularly for our latest competitions. Be in to win 1 of 3 Big Bed Bumpers! Big Bed Bumper is the safe and stylish way to stop little ones from falling out of bed at night. 100% safe, 100% simple, 100% made in New Zealand. Big Bed Bumper is a firm foam wedge that fits ALL beds and cot beds and is suitable for children of any age who are ready to move to a bed. 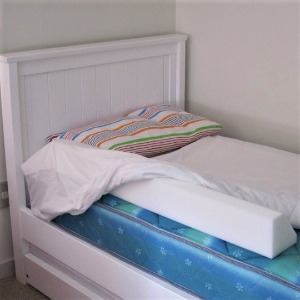 Just place the Big Bed Bumper on the mattress and pull the fitted sheet over the top. Easy! There are two different sizes available, Big and Bigger. To enter please scroll down & complete your details & click ‘Yes’ next to Big Bed Bumper. Competition closes 30 April 2019. Be in to win 1 of 2 Constructive Eating Construction 3-Piece Cutlery Sets valued at $26.00 each! BPA Free, Dishwasher and Microwave safe. Available in a Construction or Garden Fairy theme, there is also a Plate and Placemat available to complete the set. 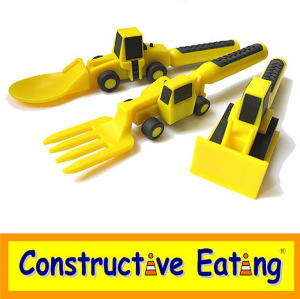 The entire Constructive Eating range can be found at Squoodles! Check out our website for more exciting products in the Constructive Eating range, and so much more. To enter please scroll down & complete your details & click ‘Yes’ next to Squoodles. Competition closes 30 April 2019. Be in to win a pair of Mud Mates Children's Overpants in the colour and size of your choice (RRP $26 - $33)! 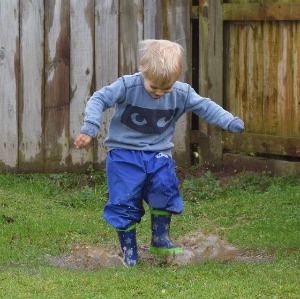 Whether they’re playing at the park, daycare or kindy, in the sandpit, helping in the garden or for the budding fisherman, Mud Mates Children’s Overpants are just what you need! They are a generous fit designed to slip on over your child's clothing, saving you constant clothing changes and loads of washing! Not to mention, protecting their clothes from wear and tear. Proudly handcrafted in NZ and perfect for when your kids are making a mess! To enter please scroll down & complete your details & click ‘Yes’ next to Mud Mates. Competition closes 30 April 2019. 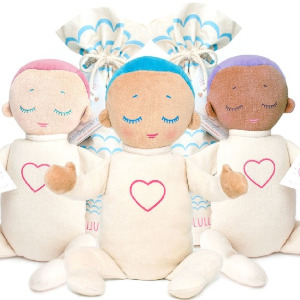 Be in to win the latest Lulla Doll from Sleepytot NZ in the colour of your choice! To enter please scroll down & complete your details & click ‘Yes’ next to Sleepytot NZ. Competition closes 30 April 2019. To enter please scroll down & complete your details & click ‘Yes’ next to Snail Mail Stories. Competition closes 30 April 2019. Be in to win 1 of 5 double passes to the Baby Expo in Wellington from 4-5 May for you and a friend! Discover all you need to know for you, your pregnancy or young child. Gain expert, up-to-date advice from a diverse range of exhibitors and experiment with products and services to find what best suits your needs. Plus don’t miss the seminars, demos, workshops, exclusive offers, activities, and competitions! To enter please scroll down & complete your details & click ‘Yes’ next to Baby Expo Wellington. Competition closes 30 April 2019. Be in to win a premium Indian cotton cot quilt & two soft toys from Little You! The farm animals cot quilt is made by Peekaboo Patterns in Chennai India. It’s super soft, snuggly and warm, and its size allows for tucking in at the end and on the sides. 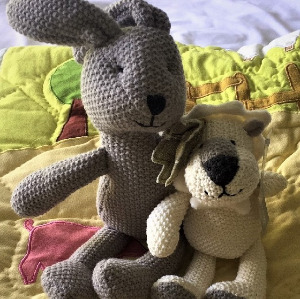 Our prize pack also includes a lion and a bunny from the ever-popular Lily & George collection, as pictured. Great additions to any child’s soft toy collection. Little You specialises in organic baby products and a select range of baby clothing, bed linen, personalised teepees and fun accessories that young children will love! To enter please scroll down & complete your details & click ‘Yes’ next to Little You. Competition closes 14 May 2019. Be in to win a Hape Portable Baby Gym valued at $139.99 from Jumpin’ Jacks Toys! This is an amazing prize for a busy parent! 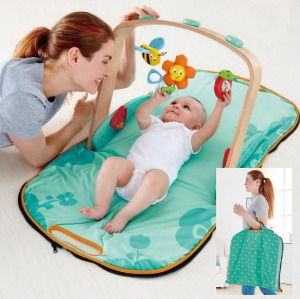 Keep your baby entertained on this soft mat and fold it up and take it everywhere you and your baby roam! This portable baby gym features a hanging apple, a bee with fluttering wings, and a flower that will delight little hands and eyes. When play is done, it folds and zips away into a convenient and stylish tote bag! Jumpin’ Jacks Toys offers a wide selection of quality, educational toys, games, puzzles and more. To enter please scroll down & complete your details & click ‘Yes’ next to Jumpin’ Jacks Toys. Competition closes 14 May 2019. Be in to win a free 3 month premium subscriptions to Babysits, to help you find a babysitter for your child! Babysits provides parents an easy and transparent way to find the perfect babysitter for their needs. Search for babysitters in your area and filter them by preferred qualifications and characteristics! With over 10,000 babysitters, nannies, and childcare providers across New Zealand, Babysits is sure to have the right babysitter for your family. A 3 month premium subscription gives you access to the Babysits platform and allows you to connect with babysitters and plan babysitting appointments for free. To enter please scroll down & complete your details & click ‘Yes’ next to Babysits. Competition closes 14 May 2019. Be in to win a Peek-a-Baby wrap carrier in the colour of your choice from The Mother Hood! 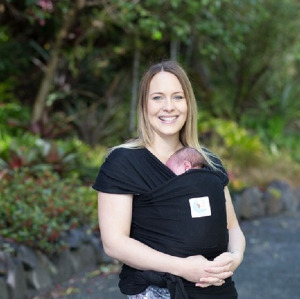 With your baby snuggled up close, a Peek-a-Baby wrap allows you to be close to your baby whilst giving you the freedom and comfort to take on everyday life. Peek-a-Baby wrap carriers offer multiple carrying positions as your baby grows. They are made from soft 100% cotton and the one-way stretch is perfect for babies big and tiny. The Mother Hood supports and helps mums through the journey that is motherhood from pregnancy, birth and beyond, selecting products that will make life that little bit easier. To enter please scroll down & complete your details & click ‘Yes’ next to The Mother Hood. Competition closes 14 May 2019. Be in to win 2 King Single Brolly Sheet bed pads with wings! Fits both a single or king single bed. Have you been thinking about night time toilet training? Now is the ideal time to get started on the road to nappy freedom. A Brolly Sheet has a cotton top, breathable waterproof back and an absorbent middle. Just place on top of your bottom sheet and when gets wet, only takes seconds to change a wet bed. No more stripping the bed! Brolly Sheets are the toilet training experts for both day and night. They have products, tips and articles to help get you started! To enter please scroll down & complete your details & click ‘Yes’ next to Brolly Sheets. Competition closes 14 May 2019. Be in to win 1 of 2 Coffee Group Passes to the coolest inflatable playground, Bounce & Beyond! Enjoy a nice coffee while your little one runs wild in our 1800 square metre inflatable playground! Our Coffee Group pass entitles each winner to free entry for one under 5 year old and one free coffee during our Tuesday Coffee Group session. Bounce & Beyond is Auckland’s largest indoor inflatable bounce centre dedicated to every day fun and a great kids party venue too! Kids can bounce, play and slide while getting some exercise without even realising it. So come join us. To enter please scroll down & complete your details & click ‘Yes’ next to Bounce & Beyond. Competition closes 14 May 2019. Be in to win 1 of 5 double passes to the Baby Expo in Auckland from 18-19 May for you and a friend! Gain expert, up-to-date advice from a diverse range of exhibitors and experiment with products and services to find what best suits your needs. 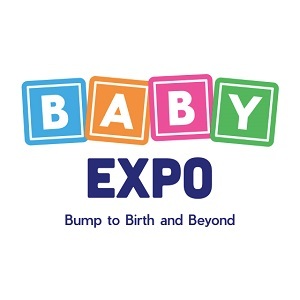 To enter please scroll down & complete your details & click ‘Yes’ next to Baby Expo Wellington. Competition closes 14 May 2019. Be in to win an amazing fine art studio photo shoot session with Michel Perrin Photography in Auckland valued at $490! This is not your ordinary family photo shoot! 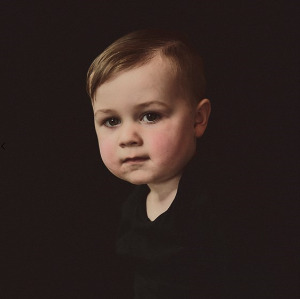 Fine art photo sessions are very different from family photo sessions. They are more emotive with editing and styling and the final results are more like a piece of art than a photo. Michel will capture the beauty, love and emotion of you and your love ones to create something very special. Your prize includes a personalised consultation, a beautiful photo-shoot with award winning photographer Michel Perrin and a complimentary 10” digital portrait. Prize not redeemable for cash. Additional images and framing will cost extra. To enter please scroll down & complete your details & click ‘Yes’ next to Michel Perrin Photography. Competition closes 14 May 2019. Please note: Only 1 entry per person per competition. All additional entries will be deleted. 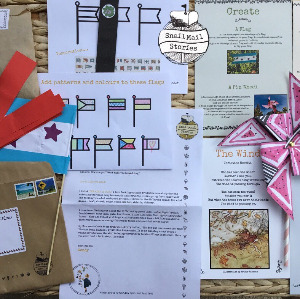 Competitions are open to Under 5s Newsletter Subscribers living in New Zealand only. Please read our full Competition Terms & Conditions before entering any competitions. Not yet subscribed? Subscribe here.